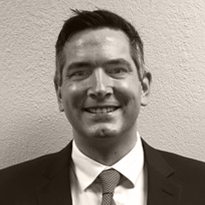 Trevor Meier began his insurance career in 2008 as a marketing representative for Federated Insurance in Boise, Idaho after an 11 month long insurance training program in Owatonna, MN. In 2011, Trevor transferred to a territory in Oklahoma where he served his clients for the past seven years. He has specialized in commercial property, liability, and workers comp insurance. During his tenure with Federated Insurance, Trevor won Chairman’s Council three times, the Big Hitter three times, two life contests, and four Monthly Leadership awards. Trevor was a student athlete at Oklahoma City University and graduated in 2006. It was there that he met his wife, Kenzi. They have two children, Tinley and Kellan. The Meier’s live in Mustang, Oklahoma.